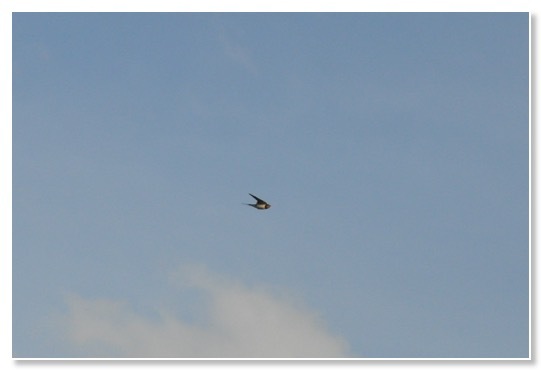 Swallows, swifts and martins are still much in evidence diving and circling in the sky above the village. They'll be heading off soon though. Our last summer visitors left us yesterday. We have enjoyed having friends and family up here working with us over the school summer holidays. Some experienced old hands taking it all in their stride, some novices nervously making a first latte after their training session. It's a real boon to us having them. Their arrivals and departures help punctuate the long (and busy) summer holiday period. Our grapevine is doing well although we're some way off a significant harvest. Customers enjoy sitting underneath the leaves in a mix of sunshine and dappled shade. 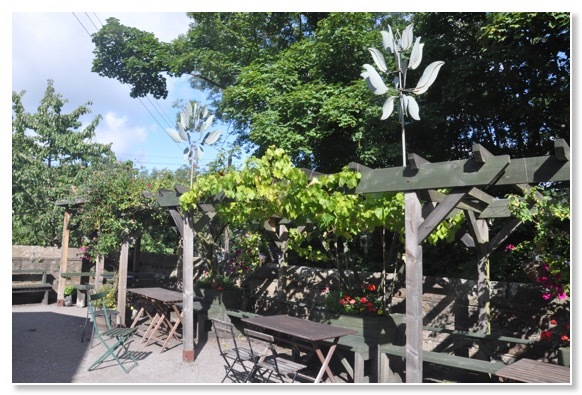 Lots of people ask where we found our 'wind spinners' - we came across them in the garden shop at Burton Agnes Hall but they look well mounted on our pergola. It's a shame we can't harness them to generate electricity as well as they do comments. We had an afternoon performance from Gecko (aka our son Will) in the last week of the month. He's a musician making his way in the business with his own wry and quirky lyrical take on the world. His self-penned songs range across life, pandas, libraries, insects and iPhones. We managed to persuade him to fit us in between sets at Glastonbury and Bestival. 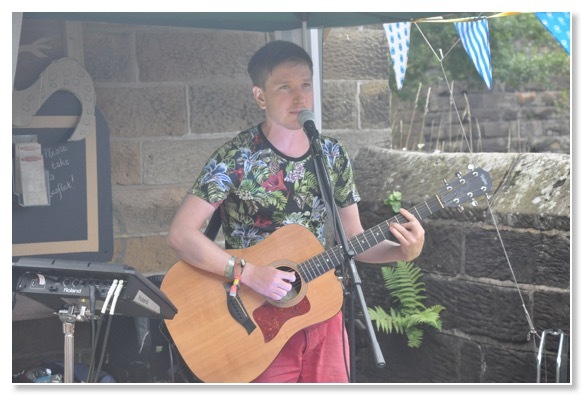 On a lovely sunny afternoon local people, customers and friends visiting all enjoyed his set immensely. We can't wait for him to come back again.